The statement above was made by Johnnie Jae, who&apos;s been fighting the good fight for years. 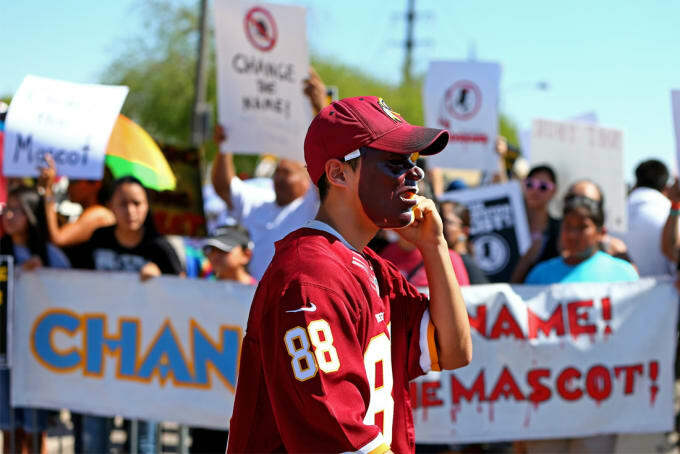 Jae is a Native activist, author, radio show host, and a founding board member of the non-profit Not Your Mascots, one of many groups leading the charge to not only change the Washington Redskins name, but those of all Native mascots across the board. She feels—like many Natives—that mascots, whether outlandish caricatures or "authentic" like the Atlanta Braves, are detrimental to Native life in America as a whole. Why? Because what starts out as "homage" can easily turn into mockery. The only representation they have in popular culture are varying degrees of insulting mascots and as savages, shaman, etc. They way we&apos;re viewed in popular culture affects the way we’re treated as people. He was so happy that less than one one-hundredth of a percent of Natives living in this country aren&apos;t offended by his team name. Recently, in Oklahoma, a Sapulpa High School senior&apos;s request to wear traditional Navajo moccasins at her graduation was denied due to a dress code. Sapulpa&apos;s team name is the Chieftains. The hypocrisy would be comical if it weren&apos;t so disheartening and tragic. We spoke with Johnnie about a lot of things, but mainly her tireless work to change the narrative when it comes to Native representation in American culture. How do you feel about the name Redskins? I am against the name. I’m one of the co-founding board members of the non-profit Not Your Mascot. The things we address are the misappropriation of our identity, our imagery, and our culture through Native mascots. Redskin is a dictionary-defined slur, and as we all know, you can’t take it back. There’s no redefining what that means to a marginalized people. Historically, it’s a concept derived from Native communities. This was how Natives identified to colonial powers that they met, as redskins. But over time you see the term being used in a negative way: in literature, in movies, in cartoons, everywhere. There is no positive connotation of “redskins” in any of it. There would never be a team named the Massachusetts Whiteys. Exactly. When it comes to mascots, Natives are embraced. It’s not that our communities are embraced or that we, as a people, are embraced, it’s these caricatures of who we are. It’s these misconceptions, the idea of the noble savage that is being accepted, not us as a people because obviously when we bring issues up like this or anything else, for that matter, we face violent backlash. 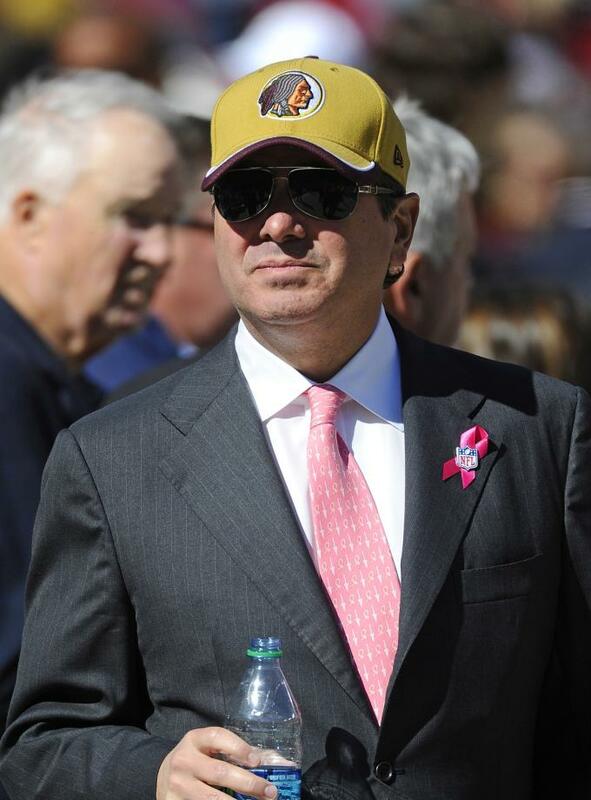 Washington Redskins owner Dan Snyder. Image via Brad Mills-USA TODAY Sports. Let&apos;s talk about the Washington Post poll. They surveyed 504 Natives out of about five million. That’s a very small percentage. Native Appropriations, about two years ago, started a Google Document, for Natives to sign up. If you’re against the use of the Redskins, you sign your name, you put your tribe. That document has over 5,869 signatures. And this is a poll of 504. To me, it seemed like the demo of the poll was handpicked. I don’t see it as an unbiased survey. How do you feel when people ask: Don’t the Native people have bigger fish to fry than a football team name? That’s my favorite argument. This illustrates that people do not know about Native communities because if they did they would know that we have thousands of Native individuals and hundreds of organizations who are working on these issues, and we&apos;ve made lots of progress. We still have a bunch of problems. We still have high rates of suicide, of domestic violence, but we are doing amazing work within our communities to address these problems. Non-Natives don’t see that because they don’t have enough interaction with us. We’re rendered invisible by the hyper-visibility of these mascots. This is why mascots, stereotypes, and all these misconceptions of Native people are so detrimental. They’ve made the issues every community faces synonymous with our identity as Native people. How high on the priority list is changing the Washington Redskins name within the community? This is the bigger problem with the other issues. Every single issue that we face within the Native community is important. There is not one issue that is more or less important. They all intersect each other because they’re all rooted from the same place which is the fire of colonization. All these problems persist because of historical trauma. This issue first came up 60 years ago, so we’ve always been addressing the mascot issue. They way we&apos;re viewed in popular culture affects the way we’re treated as people. This isn’t a new battle, it’s just with technology and social media we’re able to mobilize a lot better. We’re able to work on multiple issues simultaneously. 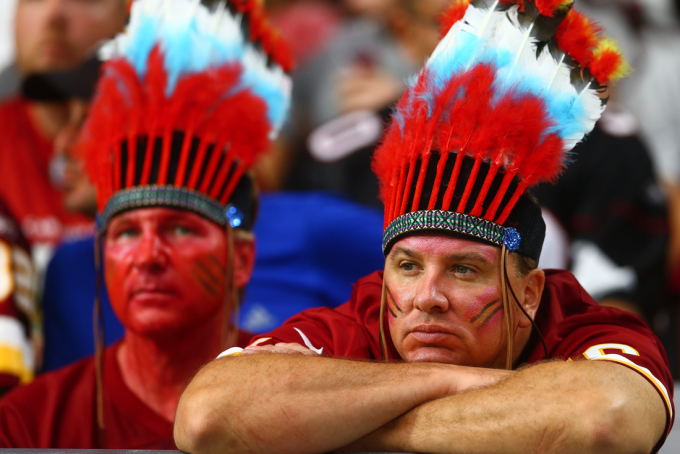 Redskins fans "respecting Native heritage." Image via Mark J. Rebilas-USA TODAY Sports. The Cleveland Indians are phasing "Chief Wahoo" out. I think it’s smart—it’s a great move. You see progress being made. Florida State banned head dresses and red face from the stadium. When you have these mascots, it ends up allowing the mockery of Native people and disrespecting our culture. The war bonnets are sacred, they’re worn by our veterans, by our leaders. Depending on tribe customs, each feather is earned. It takes a long time to earn enough feathers to get a war bonnet made. 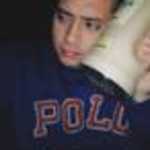 Having that mockery put in our face is harmful, especially to our youth. There have been studies that prove the impact things like this has on Native youth. Do you find the Kansas City Chiefs, Atlanta Braves, Florida State Seminoles, etc. offensive as well? Absolutely. In an ideal world, we can have mascots to represent every community—but we don&apos;t live in an ideal world. We live in a world where there&apos;s all these stereotypes and misconceptions about Native people. They don’t want to learn, and more importantly, they don’t want to listen. We don’t want to take anything, we want to build something that we can be proud of. Why would you want a mascot that disenfranchises an entire group that could possibly be fans? I’m an Atlanta Braves fan but I can’t morally accept the merchandise. And when I’m looking in the crowd and see people doing the tomahawk chop, it’s extremely disrespectful. Imagine being a Native at a game and watching a whole stadium of people mock you. When you come across Natives that aren’t offended by the name, how does that make you feel? I deal within my own family. My dad and my brothers are huge Redskins fans and it makes it really difficult when we go home. My mom is starting to understand the more she sees the work I do, she’s starting to realize how this stuff affects my niece and my nephews as they&apos;re attending school and the opportunities that are available to them. Why are they Redskins fans? Imagine being a Native at a game and watching a whole stadium of people mock you. The reluctance to change the name is about money, marketing, and branding. I should make this a little more clear, too. My dad and my siblings are white-passing, so their experience compared to my mom and I are different. If they go into a crowd, no one thinks they’re Native, so I’m a little more forgiving with them when it comes to the mascot issue. There’s a lot of nuance involved when we have these discussions. I think that’s missing from the conversation at large. Some Natives are going to see these mascots as a symbol of honor because that’s the only representation they see in America. And those people tend to be the older generation. The Washington organization uses it as a divide and conquer tactic. It shifts the conversation; it makes us angry at each other rather than keeping our focus on the Washington football team. How do your father and brother feel about the name change? [Laughs.] They are very industrious people. They went out and bought a lot of Redskins memorabilia and are going to resell it at a higher price if the team does decide to change the name. They’re thinking about making money on it. That’s the part I don’t get, imagine the money Snyder can make from the old merchandise and the new jerseys, jackets, etc. I live for the day this name changes, the day we aren’t mascots anymore. If you attain your goal of getting rid of Native mascots, what positive impact will that have on your community? First of all, it would help stop the stereotyping. There’s schools that have changed their names and still Natives face backlash. The University of North Dakota changed their name from the Fighting Sioux to the Fighting Hawks, and even then you had students trying to reclaim the old name and using horrible stereotypes like wearing shirts that said “Siouxper Drunk.” People don’t understand how harmful these mascots are.